Hi everyone! Yay! 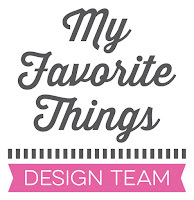 It’s time for the new My Favorite Things May product launch! Today, you can see all new products and they are available right now on the MFT online store! This is just a CUTIE!!! I colored her with Copic markers and used the paper piecing technique for the shirt. The sentiment is from the Green Pastures set too. Francine, this could not be sweeter. I must CASE how you paper pieced her top with the card base! I love this Francine! Fabulous colouring and I like everything about it, so cute with the paper piecing! I really love how shirt matched the BG paper... And amazing coloring!!! Your coloring is just amazing and just love the gingham! Oh my gosh how adorable !! Love her paper pierced shirt! Isn't she sweet. I love that her shirt matches the background. Very cute card.. Love the paper piecing. Very cute card. Love the paper piecing. How cute, I love the paper pieced shirt with the matching border. What a cutie. Love the gingham. Love the gingham paper pieced shirt, Francine. Adorable! Snagged this little girl at one minute after midnight. Love the shirt and how well it draws the eye to the figure. Great use of the stamp. Die Kleine ist sooo niedlich ♡ Ich mag ihr Hemd total gern! Yes, she is definitely a cutie! Love the paper pieced shirt. The new release is really a fun one! Beautyfull card, love the image. She is so cute. What an adorable card! The coloring is fabulous and the paper piecing completes it! That checked shirt is darling! Cute card! Love the card. Love the purple. Fantastic card. The paper piecing is awesome. So sweet, lovely in gingham! OMG, Francine, that is ADORABLE! Absolutely adorable!! :) Your coloring is awesome!! TFS! It's going to be so hard to decide how much I am going to buy from this wonderful release! The coloring on her is gorgeous. Love how you did the paper piecing. Very sweet and great coloring. So cute. The paper pieced shirt is perfect! the coloring is beautiful and I love the paper pieced shirt, I should get back to that. Beautiful card, love how the shirt matches the background!! This is super cute. I love her gingham shirt that matches the background. Clever!! And so striking! I absolutely love how you did her shirt. What a cute card! Beautiful. Love the paper piecing....the coloring is perfection! Awesome coloring, love your paper piecing. That gingham shirt is such a wonderful detail!! Love Birtie Brown and love your card. I don't see my comment but I do love the gingham shirt! Great card. Such a cute card! I love how you paper pieced the shirt to match the border. Beautiful coloring. I love the paper piecing! What a fun card! Wow! Your coloring is stunning!! And I LOVE her little plaid shirt; it's soooo adorable! Elle est trop mignonne! La mise en couleur est très réussie. Such a cute card - love the way you colored her and the paper pieced shirt to match your background. How cute, she's wearing a shirt to match her card. Thumbs up. LOVE this card!!! That paper-pieced shirt was truly a perfect touch!! Did stamp the checkered pattern with a background stamp or is this from a paper pack? Hi and thanks so much for the lovely comment! I love this stamp with this farm girl I especially love that she is wearing muck boots. this card is so perfect and so beautiful! Very nice card! And I like that you made the background and the shirt coordinate. That's great! Very cute--love her gingham shirt. I already placed my order for this little sweetie...you are making me glad I did! Beautiful paper piecing. Adorable card! Simple but pleasing card, love this farm girl stamp especially her mud boots. Your card is awesome! Love Birdy Brown! Love the paper pieced shirt. What a sweet country girl! She is adorable in her gingham. I can't wait to get her. what an adorable card ! love the shirt !!! great paper piecing and CAS design. This is Beautiful. Your coloring brings this image to life. Love the matching pattern of the shirt and background layer. OH MY!! You're right...she is such a cutie!! I love the sentiment & I LOVE the plaid shirt!! Love how you paper pieced her shirt to match the background! Adorable image, beautifully colored!! A late birthday card... I definitely need to make these lol! That is one cute card! Love it! Great coloring and the paper pieced shirt to match is super! I love how the shirt matches the background! Love the paper pieced shirt. Great card! Love the way you paper pieced the little girl's shirt! Your coloring is OVER HE TOP! Love it! Love this card! The way you colored her face if so beautiful! Awe, super cute, Francine! The check reminds me of the dresses my Grandma used to wear. Love that you pieced her shirt to match the background. Adorable. Love the matching shirt. Thanks. Oh, WOW!!! I was immediately struck by your awesome (and talented) coloring job. Love the CAS style card. Awesome! I love that her shirt matches the background!